Consider Gem Lawns – A fairly small lawn can serve as a focal point around which ground covers and small shrubs can be placed. The result is a less maintenance-intensive but still beautiful space. 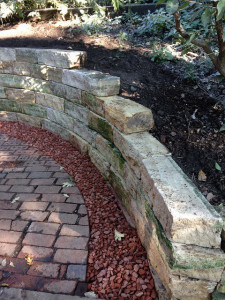 Add Hardscapes – Similarly, an owner can break up a lawn withbrick paths, stone beds and other maintenance-free areas. 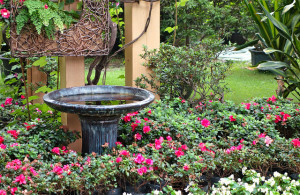 Sculpture and water features can be included for some visual interest. Try Xeriscaping – In certain environments, it may be desirable to completely replace a lawn with a dry-weather xeriscape. These landscapes almost completely eliminate the need for irrigation. For more information on these and other ideas for using less grass in your landscape or if you are already looking for a commercial landscaping firm in Atlanta, please contact us online at OutdoorExpressions.net or call us directly at 888-210-1116. Outdoor Expressions – Making your outdoor space a place to remember. Plant Your Annuals – Late October is the preferred time to plant many annuals including the very popular pansies and violas. Bear in mind that most experienced gardeners know this and will make their purchases up to a month earlier and house the plants indoors until ready to plant. Prepare to Transplant – Root prune early in the month – one foot away from the tree per inch of tree diameter is a good guide – down to a depth of two feet. Water before and after the pruning then do the actual transplant in 30 days. Plant Some Vegetables – There are several cool season veggies that do well at this time of year including spinach and collards and lettuce as well as the herb. For more on autumn gardening tips like these, please visit us online at OutdoorExpressions.net or contact us directly at 888-210-1116. Outdoor Expressions – Making your outdoor space a place to remember. Not removing the dead parts of your perennials will allow snow to collect around them and thus protect the roots against any extremely cold spells. In addition, when it melts it will add moisture to the soil. A lot of creatures “ go to ground” as it were and overwinter in the material that you would normally clean. 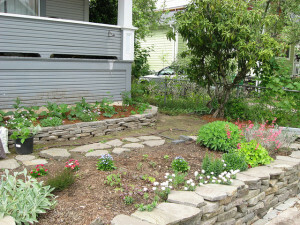 Leaving them alone will give you a healthier landscape in the Spring. Whether you want to admit it or not, you are an integral part of the success of your landscape. Working hard and sweating outside when its cold is almost a recipe for injury or illness. For more information on these and other autumn gardening tips, please contact us online at OutdoorExpressions.net or call us directly at 888-210-1116. Outdoor Expressions – Making your outdoor space a place to remember. This hardy tree turns yellow in the fall and gives off a striking aroma often described as similar to cotton candy or caramel corn. 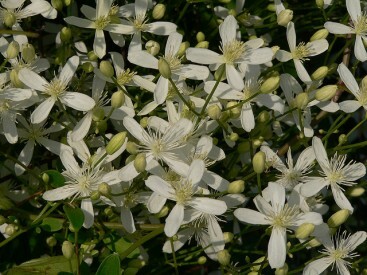 It is well suited to the Atlanta area but needs frequent watering and full sun. So quick-growing that many gardeners consider it an invasive weed, this vine is fantastic for covering that new trellis or covering a fence. In fact, place it in partial sun and you never really have to pay attention to it again. A flowering plant with an unfortunate name, this plant also has beautiful bloom and a beautiful vanilla fragrance. It works well under trees in partial shade. For more autumn gardening tips like these from one of the leading Atlanta landscape designers, please contact us online at OutdoorExpressions.net or call us directly at 888-210-1116. Outdoor Expressions – Making your outdoor space a place to remember. 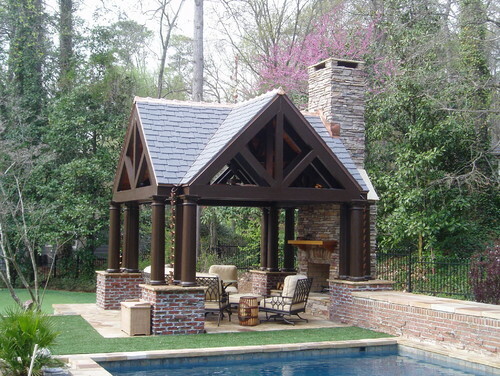 Create a Meeting Place – People naturally congregate around a fire pit. The fire itself is quite inviting and – if you’ll pardon the poor analogy – it makes an excellent ice-breaker. All in all, a fire pit is an excellent outdoor living room for you, your family and your guests to congregate on any night of the year. Adds a Focal Point – While paths in a backyard are usually functional, some are simply placed to break up the blankness of the lawn. Adding a fire pit at the end of one gives the path a little more usefulness and provides a destination should someone decide to take a walk. For more information on this and other ideas on outdoor living rooms, please contact us online at OutdoorExpressions.net or reach us directly at 888-210-1116. Outdoor Expressions – Making your outdoor space a place to remember. This perennial plant is extremely easy to grow and bursts into orange and red at the beginning of the season and continues until the first frost. Plant in partial shade to allow the plant to flourish. Not only will you get a magnificent plant that can grow to three-feet high or more but also the beautiful monarch butterflies that they attract. 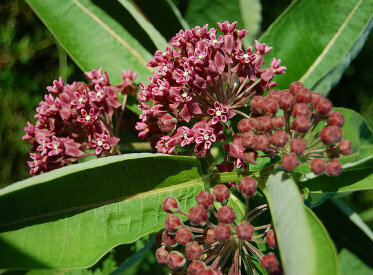 Plant them in out of the way places to create a veritable insect zoo in your backyard. Available in more colors than a Crayola box, these annuals are the “go-to” flower for anyone who needs a quick colorful punch in their yard. For more information on these and other autumn gardening tips , please visit us online at OutdoorExpressions.net or reach us directly at 888-210-1116. Outdoor Expressions – Making your outdoor space a place to remember.